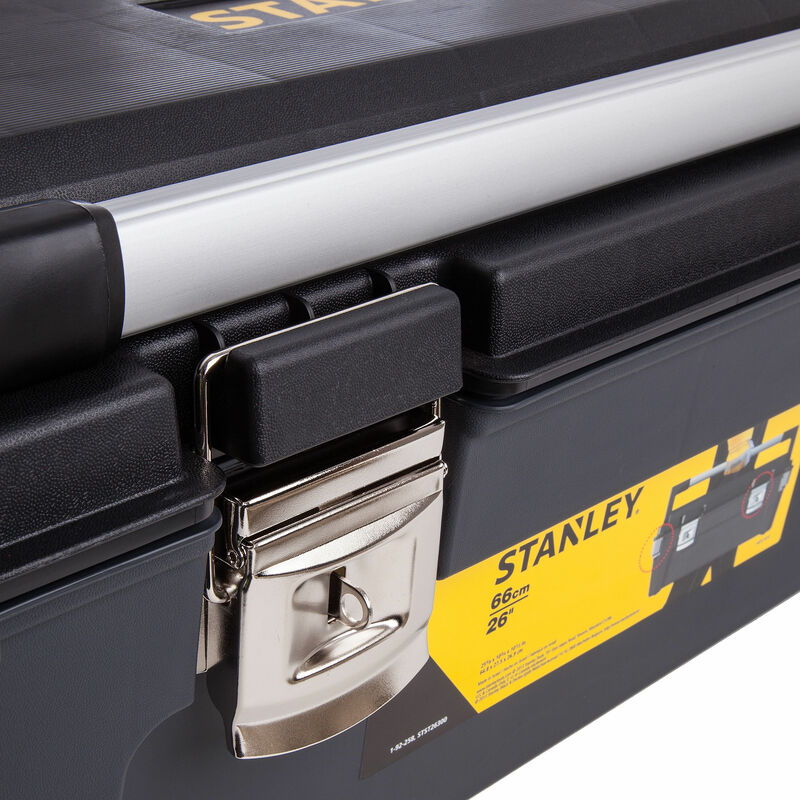 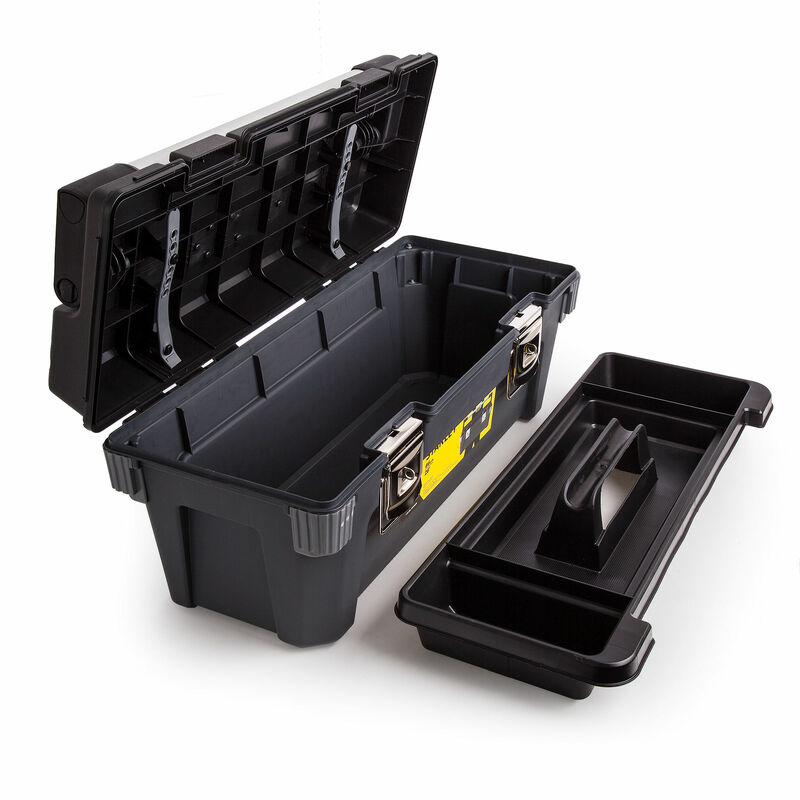 The Stanley 1-92-258 26" Professional Toolbox is a extra large capacity toolbox with removeable tote tray. 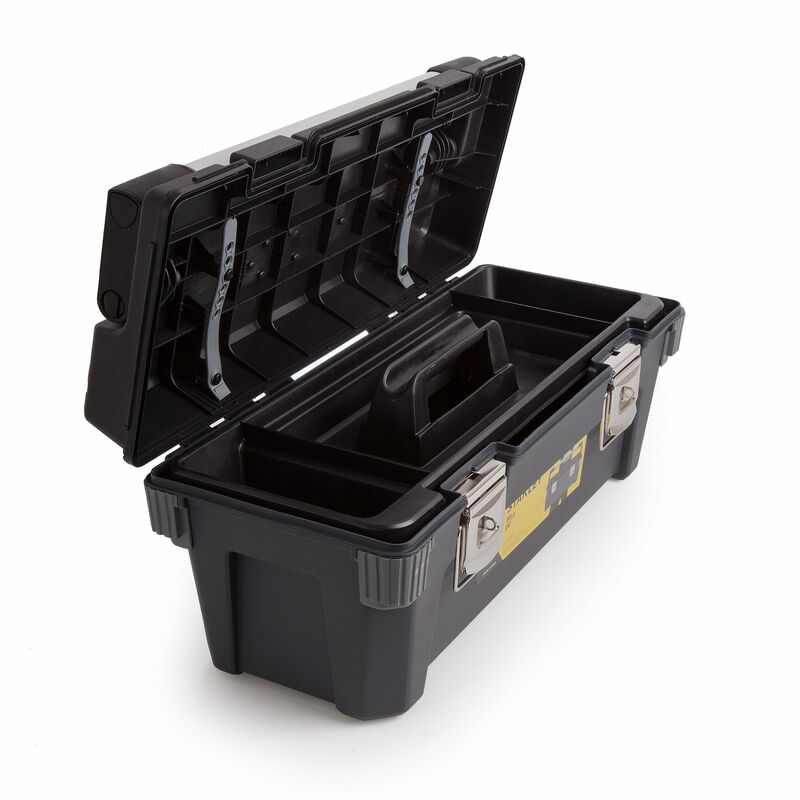 Suitable for the storage of large size tools and accessories. 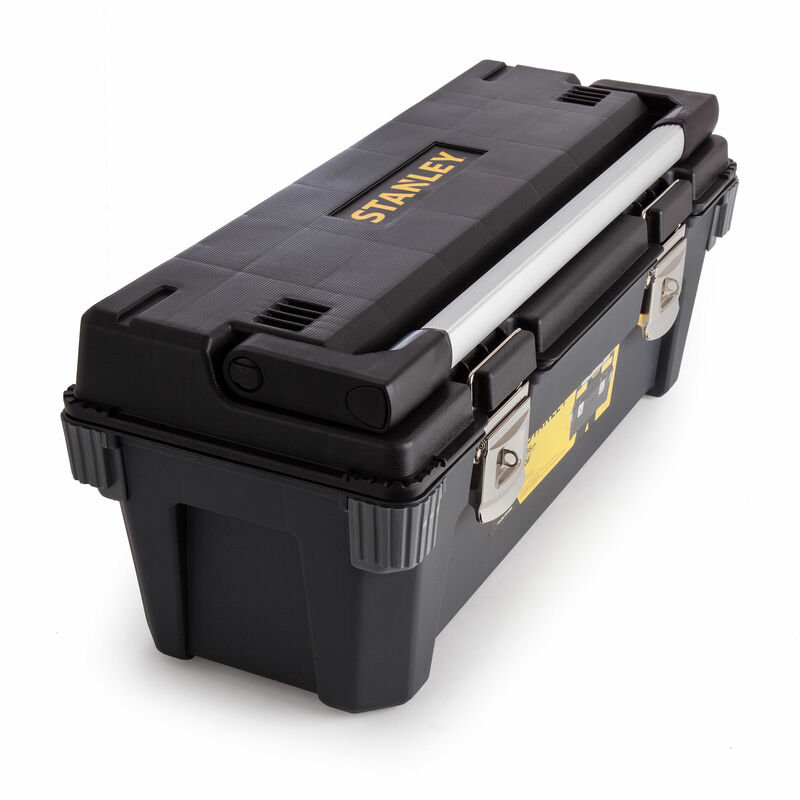 Features a full length fold down handle and steel fastening latches.